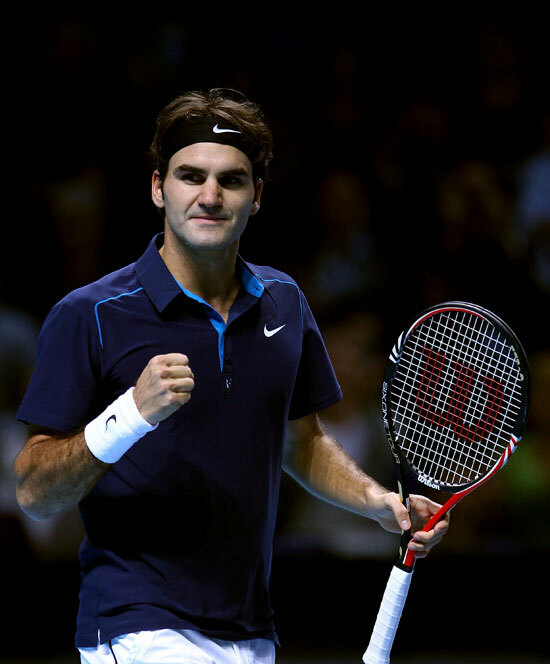 Roger Federer is 14-0 against Jarrko Nieminen. Wow, that is almost possible. Sure the 17 times Grand Slam has won everything and he is clearly better than the Finland is, but Nieminen has been respectable over the year and he can mix up his shot. One would think that the left-handed would roll his forehands into the corner and come into the net when he can crisply putting it away, but when he faces the Swiss, he is confused and leads his strokes too short. The two have known each other for ever, meeting each other for the first time in 2002, when Federer beat Nieminen 6-1 6-4 on carpet at Moscow. The now 33 year olds have also faced each other in hard courts, grass and clay. Jarrko has only won one set in the last 14 matches, in 2011 Basel when for a brief moment he though he could grab it for the first time, but Federer raced away 6-1 4-6 6-3. Nieminen has won two titles over all, but Federer has won 84 titles, which is slightly better, or how about way, way better. On clay in Istanbul, Nieminen just can’t whale away with his fine first serves and dictate when he cracks his wicked forehands into Federer’s one-handed backhand and push him into the stands. The only way to come close to winning the match – or really grabbing one set – is to dig in and play numerous rallies. He has to swing away and try his shots very deep and hope it goes in. Federer says that he has been practicing a lot and getting used to sliding and hitting around. Two weeks ago in Monte Carlo on clay, Federer wasn’t ready yet, but he should be ready now. Let’s say that Nieminen goes berserk but loses 7-5, 6-2. Your have to give Angelique Kerber a huge amount of credit by winning Stuttgart. She couldn’t have given up against Caroline Wozniacki and was down 5-3 in the third set but she fought super hard and the Dane stopped moving forward. Kerber really knew that in Germany, she could triumph and she did, smoking some excellent backhands down the line and racing to scoop up her drop shots and put them away. Now she has won Charleston and Stuttgart on green and red clay and has won two Premiers. But what she has not done is to win a Premier 5, which is coming soon at Madrid. She will have a real chance but here comes Serena Williams, who has not lost this year in singles [she pulled out of her semifinal against Simona Halep in the semis at Indian Wells and lost against the Italians in Fed Cup in the doubles]. Can Kerber actually beat Serena on a high altitude on Madrid? That is doubtful as Serena can torch ace after ace, but if the lefty-hander Kerber get into rallies and yanks her around, at least she has a small chance. And if Kerber wins Madrid and has won three straight events then she will be one of the favorites at Roland Garros. Wozniacki played much better last week than she has at the beginning of the year. However, her father and coach Piotr has to talk to her at the end of the set rather than always coming out after the third game every second. When she splits the set, instead of going to talk to her after the beginning, it is better to wait until the last moment, go up to her and say ‘You are playing great but make sure that you will continue to attack and don’t back up.’ She backed-up at the end against Kerber and she went away. Credit to Kei Nishikori by winning Barcelona, beating Pablo Andujar in the final. The No. 5 is very close to passing Rafa Nadal at No. 4, but he will have to go to Madrid, when he reached the final in 2014 and lost to whom else – Nadal. He has never beaten the Spaniard and while Nadal is shaky and Nishikori is riding high, but he has to prove that. There are five smaller tournaments this week, which a number of the top players are resting, but every event has a story or two. In Munich Andy Murray is the top seed and he is back after having a wedding date with Kim Sears. His new coach, Jonas Bjorkman, is there this week. Murray has never been fantastic on clay but he’s been pretty good and could win the tournament. Here was a big win on Tuesday when the just came back Janko Tipsarevic bested the fixed-tooth Bernard Tomic 5-7 6-1 7-6 (3). Estoril, which has been very popular over the years, saw another man who feels better when Richard Gasquet — who had a back injury – beat Marinko Matosevic. The Australian Nick Kyrgios, who threw a racket over the stadium, overcame Albert Ramos-Vinolas 6-3, 6-7 (5-7), 7-6 (7-3) and almost got tossed. In Istanbul, Nieminen beat Marsel Ilhan 6-3, 6-4 and as we mentioned, will face Federer. In Prague the top seed Karolina Pliskova won Annika Beck 2-6, 6-1, 6-3 on a rainy and cold day. Pliskova has been quite good this year but it is time for her to start winning tournaments now. The same goes in Marrakech where the top Garbine Muguruza who is close but no cigar. She is very good on clay and she should be pushing deep in Madrid, Rome and Paris.